What is Sustainability and How Do I Teach It? …it is a little easier for us all to begin considering how most every context our students engage with can be explored through a sustainability lens. 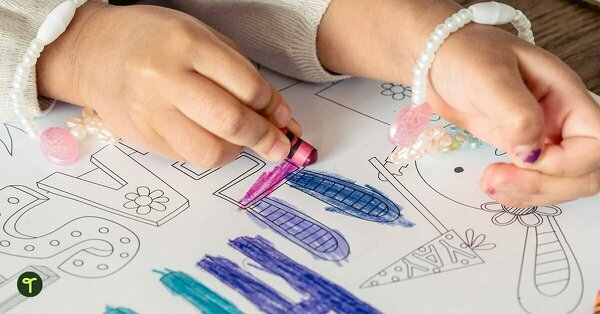 While Earth Day is one event that brings this conversation to the fore, here are 15 fun sustainability activities to use in the classroom at any time of the year. In this sustainability activity, students select a food item and explore the three stages of the item’s life. Plotting the information they find into a “Life History of Stuff” timeline provides both teachers and students with a means to consider and discuss the sustainability issues surrounding the “life” of the item. This kind of exploration goes a long way towards encouraging children to think about their own consumption with a more global and sustainable perspective. This activity could be extended for older students as a STEM task. Students can explore the production, packaging and disposal stages of a food items life, as well as develop and present a proposal for more sustainable design options for production, packaging or sale. This is a fun, hands-on classroom activity that teaches students about sorting rubbish and recycling. Our printable download for this sustainability activity makes teacher preparation and setup time minimal! You can use the food and waste illustrations included in the download, as well as encouraging students to cut up images from catalogues and junk mail. Students ‘rubbish sort’ catalogue pictures of items that they already have at home (or want to have!). Link this activity to a discussion about how many times an item is likely to be used and whether or not it will be recycled or end up in landfill. This is a great way to draw explicit attention to how each person’s individual consumption (no matter how small the person may be) affects sustainability and contributes to our planet’s diminishing capacity for waste. 3. What is My Carbon Footprint? Check out this free carbon footprint calculator for kids on the Trees for Life website. Students can use this great free carbon footprint calculator to work out approximately how much carbon their lifestyle emits in a year. The calculator also gives each child specific suggestions of small lifestyle changes they could make in order to reduce their carbon footprint. Your class can record, collate and compare the numerical data that their quiz responses generate. Students can plot individual, small group or class data in a graph or table. Establish what the average carbon footprint is for your entire class and set a goal to reduce it to a certain amount by the end of the term or semester. Have students examine the lifestyle changes suggested to them in their own results and identify which change they will embrace to help lower the class carbon footprint. Our printable Ways to Reduce Your Carbon Footprint poster is free to download and is an excellent teaching resource to use alongside this activity. In conjunction with exploring the question “What is my carbon footprint?”, ask students to record their travels for a few days or a week. and possible alternative modes of transport. Students can then collate, examine and compare their own, small group and whole class data. After presenting their findings in visual representations such as tables, column graphs or picture graphs, discuss what the results might mean in terms of knowledge of, and attitudes towards sustainability. and a hands-on science investigation about energy. This downloadable PowerPoint can be used as a standalone resource. 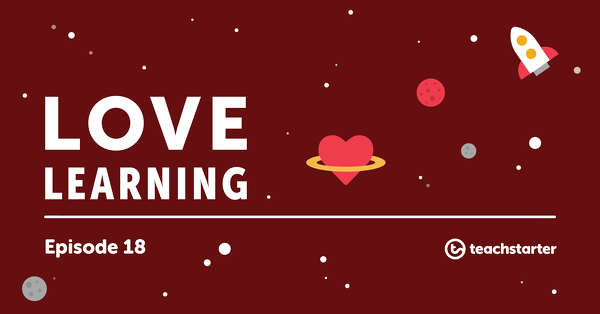 Or, take a look at the Living Things Need Energy lesson plan in our Foundation Year Science Unit “Living Things and Their Needs” which is available to Teach Starter Ultimate Subscription members. With your students, explore the use of electric cars, both in Australia and around the world. This Electric Cars in Australia video from Behind the News can be streamed for free in Australia through the ABC Splash website and is a great introduction to the topic. and design a vehicle that uses at least one form of renewable energy. A sorting activity that requires students to identify renewable and non-renewable forms of energy. A poster that displays and examines renewable and energy sources, including wind energy, hydro energy and solar energy. A poster that displays and examines non-renewable energy sources, including natural gas, oil and coal. A poster that explains solar energy. Challenge your students (and yourself!) to go without power for a day… Or maybe just a morning, if you feel like an entire day would be too challenging! 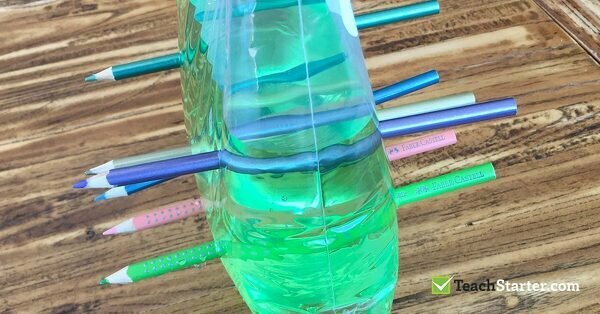 This activity will quickly draw your students’ attention to the plethora of items they use that require energy. Lights, calculators, computers, iPads, interactive whiteboards and air conditioners are all out for the day! You could also consider if it’s suitable to encourage your students to bring an energy-free lunch (rather than purchasing hot food from the tuckshop or canteen). In the days leading up to your Energy Free time, your class may like to contribute ideas about how they can complete each of their regular lessons without the consumption of energy. While this sustainability activity is definitely a challenging one, it will also help you and your students to see just how many energy-consuming products are left on in your classroom unnecessarily. Students complete the sentences, cut and staple the pages to form this mini sustainability colouring in book. With each page depicting simple ways that people in the world can help to keep our planet healthy, this printable activity sheet is a great introduction to basic concepts of sustainability. Don’t be scared to give this one a try! A school or class vegetable garden can be as big or as small as you’re comfortable with. You might like to start with a small raised garden bed (find a second-hand one on Gumtree or ask a handy community member to build one from recycled materials for extra sustainability points! ), and two or three varieties of plants. At our home, we have three small garden beds that each cycle through looking amazing and looking terrible (which helps to explore the life cycle of a plant, right?!). But, when the time is right, we always find ourselves pulling out the weeds and starting again to see what we can grow a little better each time. This is an approach that might work for you and your class too! Students can also create garden-inspired artworks to decorate their class garden. Scarecrows, fairy gardens or other sculptures using recycled materials are always a fun outdoor alternative to in-class visual arts activities. Stream this great free video about vegetable gardens on ABCSplash (Years F-7). Download this great STEM activity for older students Garden Design and Planning activity (Years 4-7). If you’re fond of a project, check out our blog post on building a vertical herb and vegetable garden (Years F-7). Your students’ task is to develop their own plan for a garden. 30 plant lifecycle related vocabulary cards for a word wall. Help your students concrete their understanding of the plant life cycle with this interactive game. One beautiful part of teaching sustainability is just how easily conversations about the environment begin once students are taken outside of the classroom. 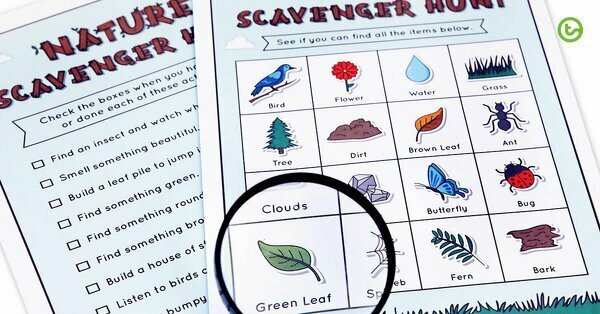 Use our free printable Nature Scavenger Hunt Grid with your lower years classes as a prompt for conversations about how different elements of our environment are interconnected – such as water, plants and animals. Extend this conversation by brainstorming and drawing a mind-map of how different elements of our environment are connected to one another. A fun, exciting nature scavenger hunt worksheet to use with children during a nature walk. A worksheet for students to depict what the world looks like with and without water. This narrative writing activity is suitable for students from Foundation Year to Year 6/7 and can build upon quite a few of the other activities on this list. Students choose a found object or item to use as the inspiration for a short story. It may be something they collected during the nature walk, a food product examined in the Life History of Stuff activity (see instructions above), or a commercial item that they already own. Students select one issue from the list to use along with their item as the stimulus for a short story. A template to use when exploring or planning a narrative story. You can check out our extensive range of narrative writing teacher resources, adding favourites to the collection folders in your Gallery. This stunningly illustrated book features a collection of Earth-inspired poetry. A 19 slide editable PowerPoint template the use when teaching students how to analyse poetry. War on Waste is a three-part documentary exploring Australia’s relationship with waste. Available to view on ABC iView until January 2018. This three-part documentary series examines Australia’s relationship with waste. Exploring food waste, plastic waste and fashion waste, War on Waste is a fantastic current resource for exploring sustainability issues with older students. Select relevant snippets from the documentary to complement and extend the activities and discussions about the life history of items, consumption, recycling and landfill. Examine how the use of shot type, sound, lighting and setting is used to communicate meaning in a short excerpt. Check out Episode 3 at 02:00-04:40 mins (fashion waste pile) and Episode 3 at 04:40-05:20 (fashion consumption vox pops) for suitable excerpts. Select one sustainability issue and have students create a short storyboard showing how they would turn it into a video. Using this free printable storyboard template, students can specify shot type, sound and lighting for each square on their storyboard. Please note: Episode 3 of War on Waste is rated G, while Episodes 1 & 2 are rated PG. The show is available to view in Australia through ABC iView until January 2018. The Great Pacific Garbage Patch provides teachers with the ultimate in contexts for exploring issues of sustainability. It’s huge. It’s gross. And it’s real! This downloadable Great Pacific Garbage Patch comprehension sheet is a great teaching resource for Year 5 and Year 6 English that aligns with the Australian Curriculum and the sustainability cross-curricular priority. Australian teachers can also stream this great video from Behind the News that tracks the journey of plastic from a piece of rubbish on the side of the road to one of the millions of pieces of plastic floating in Earth’s oceans. Connecting with a local organisation is a fantastic way to find out more about the issues that are most relevant to your community. Not only that, but it helps your students to gain even more of a real-world perspective on the sustainability topics you have been exploring in class. Send an email or Facebook message to an environmental organisation in your local area. Or, even better, pick up the phone and give them a call! Invite someone from the local community to come and speak to your class about the sustainability work that they do. Organise an excursion or incursion with a local organisation for students to participate in bushland rejuvenation, Clean Up Australia Day or tour an organic farm. The Australian Environmental Grantmakers Network has an extensive directory of environmental organisations, as does Junior Landcare Australia. Have any of these activities flicked your inspiration switch!? Tell us in the comments below if you have other sustainability activity ideas that have worked in your classroom! 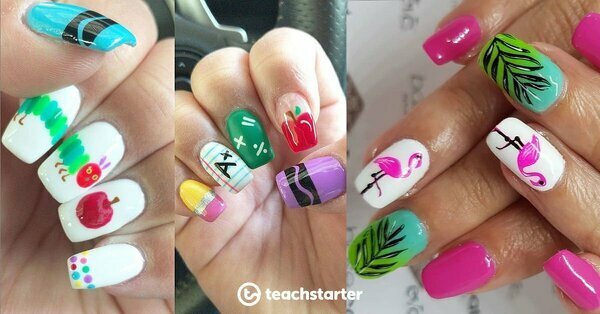 Teacher nail art-inspiration! If you're a painted nail kinda person - this blog's for you!